Great tool for removing staples. 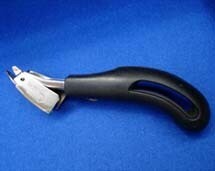 The ergonomic grip allows staples to be gripped and extracted easily and safely. Every artist needs one of these.